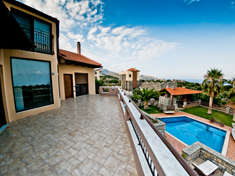 Outside there is a formal patio fronting the lounge area this leads down a few steps to the terraces, lawns and pool. 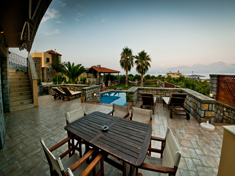 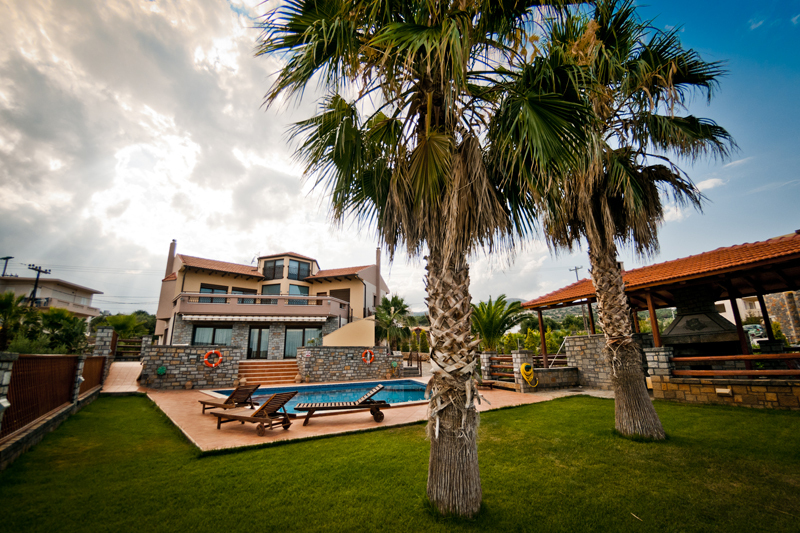 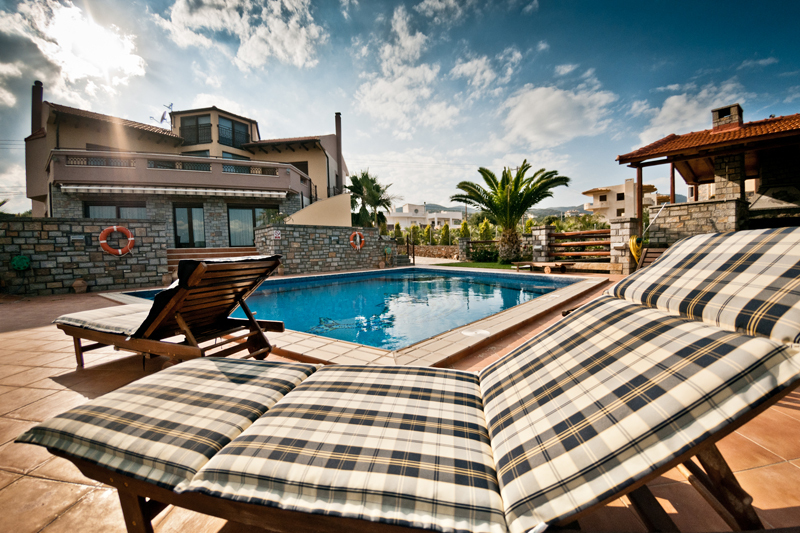 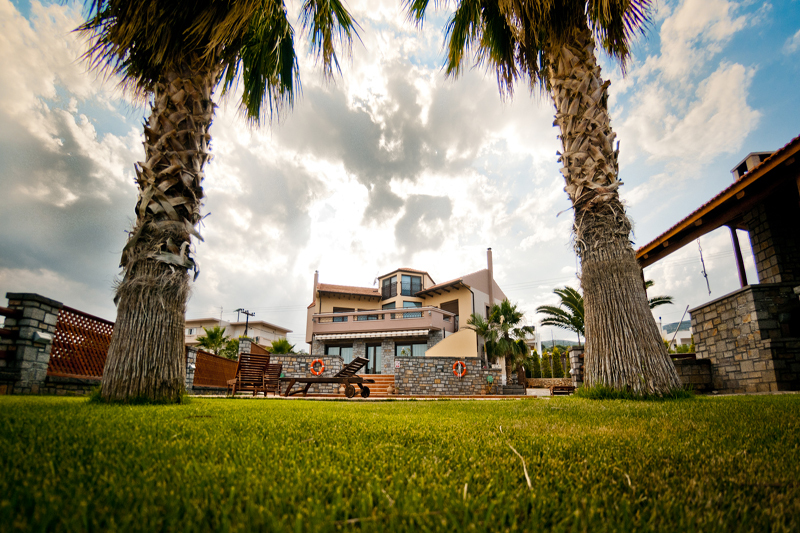 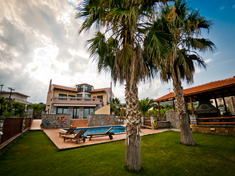 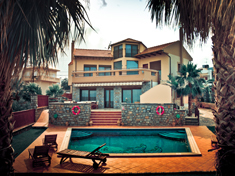 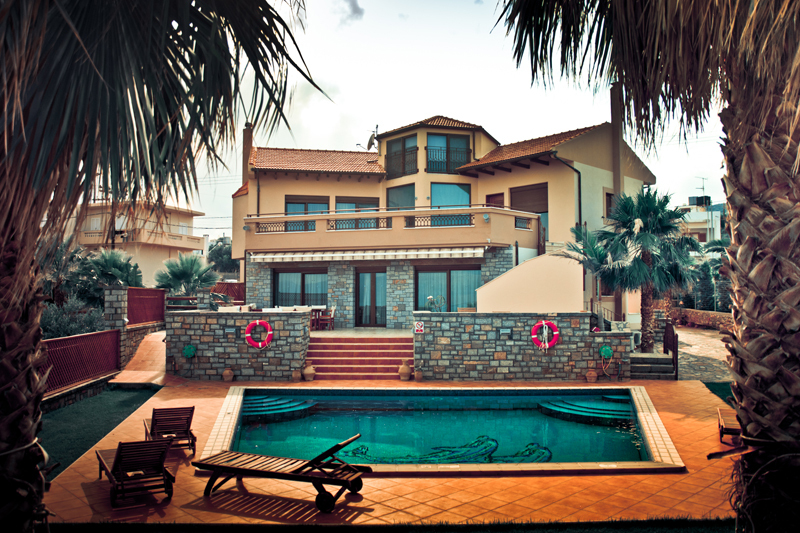 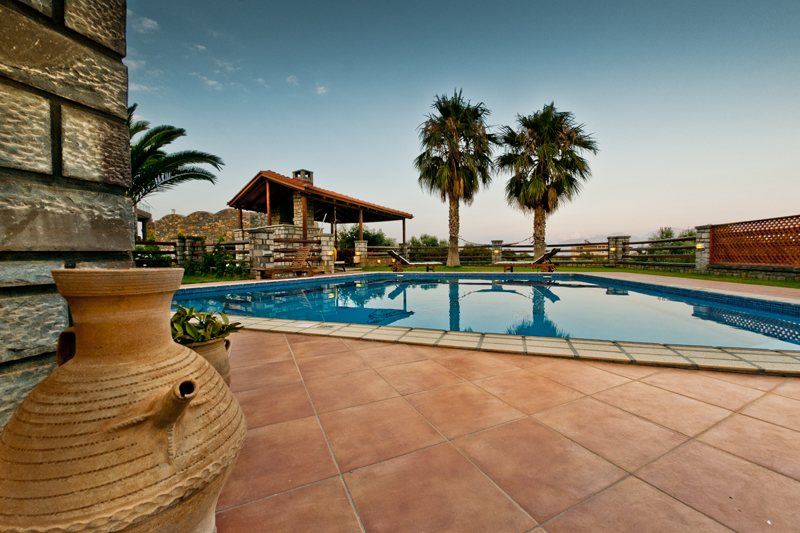 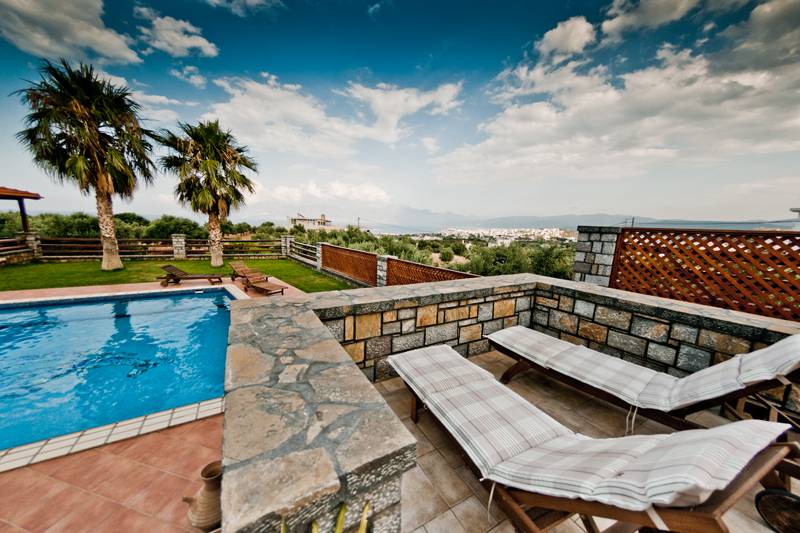 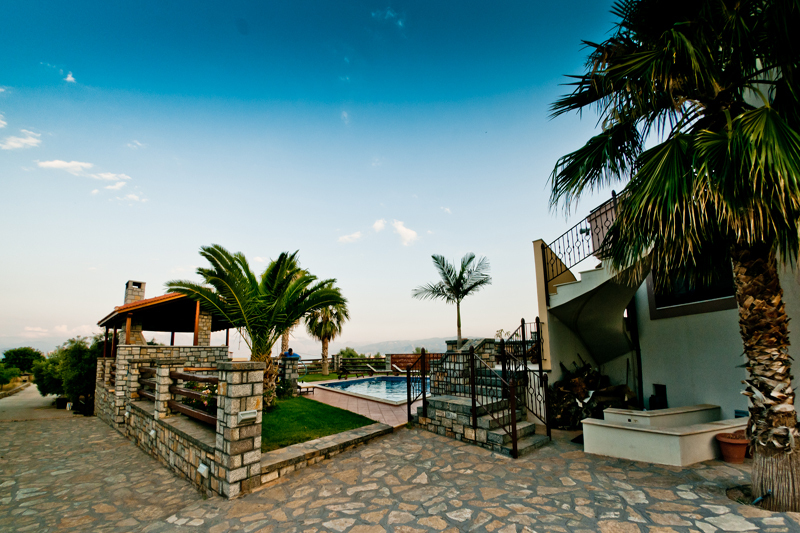 The pool with its mosaic design is one of the major attractions of this lovely villa. 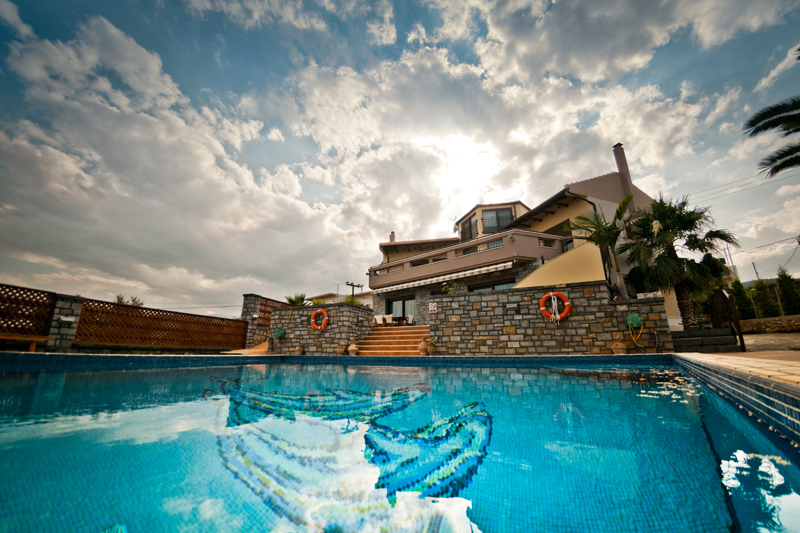 It is 9.5 meters long and has steps in either corner, no shallow end (2.2m deep).It features a Jacuzzi and reverse swim jet. 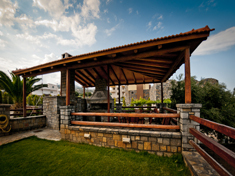 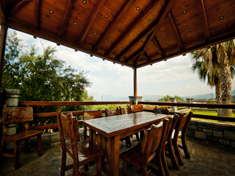 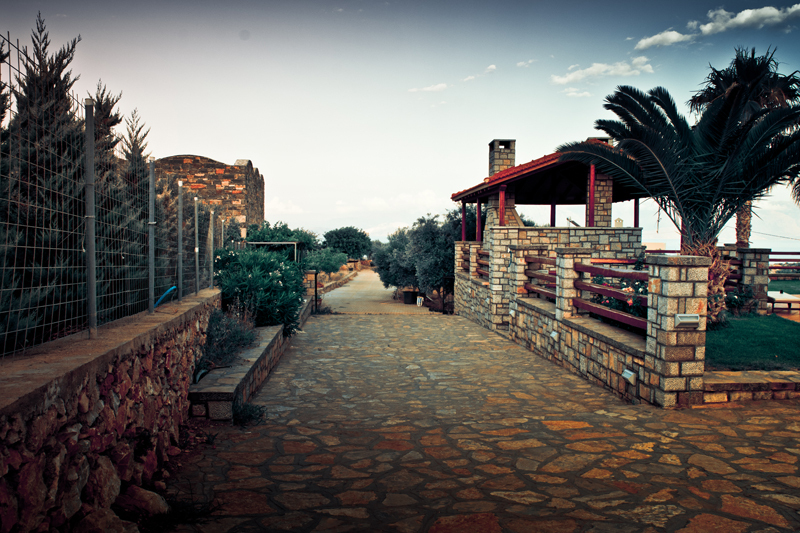 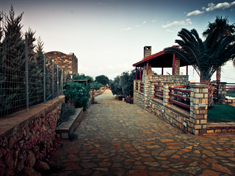 At the bottom of the lawned garden there is a brick built barbeque with a wood burning oven. It is set beneath a large wooden pergola and features a grand solid teak table and chairs, an ideal venue for outside dining and watching the sun go down over the Bay of Mirabello.